It's been a long time since I fell in love with an indie artist, but from the first play of Snail Mail's (aka Lindsey Jordan's) 2018 album Lush I have been addicted. The indie masterpiece is so raw and relatable, it's hard not to start singing along and feeling every emotion. 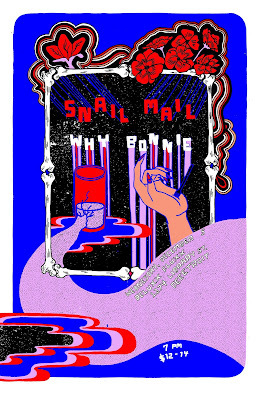 I have been anticipating a tour announcement and was pleasantly surprised to see that one of Detroit's best booking agents was bringing Snail Mail to Detroit on Wednesday, December 5th. Virginia Benson is the owner of Party Store Productions and she is the women who brings women through town. If there is a cool show that showcases the talent of women in Detroit, there is a good chance that Virginia booked the event. She has always been super supportive of her fellow females and is the perfect person to bring the soon to be legend to town for her first performance in the Motor City. 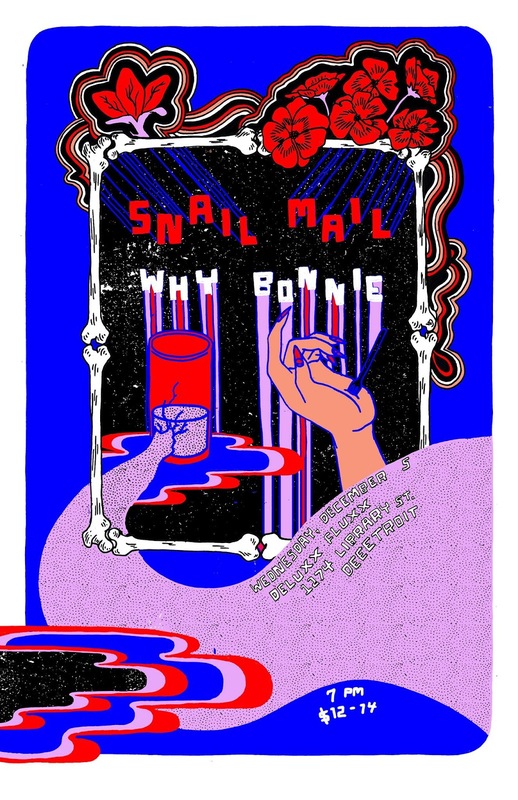 Party Store Productions it bringing Snail Mail to Deluxx Fluxx on Wednesday, December 5th alongside Why Bonnie. Tickets to attend the show are $12 in advance and $14 at the door. There is a very good chance that this show will sell out and I guarantee that this will be one that you do not want to miss. So we are posting this to remind you to get your tickets in advance. We have one pair of tickets to give away thanks to Virginia, but you do not want to count on that! If you would like to enter to win tickets to see the set please email your full name to hipindetroit@gmail.com with the subject line #SM. We will draw one lucky person on Wednesday morning and they will get to see the set with a friend for free!